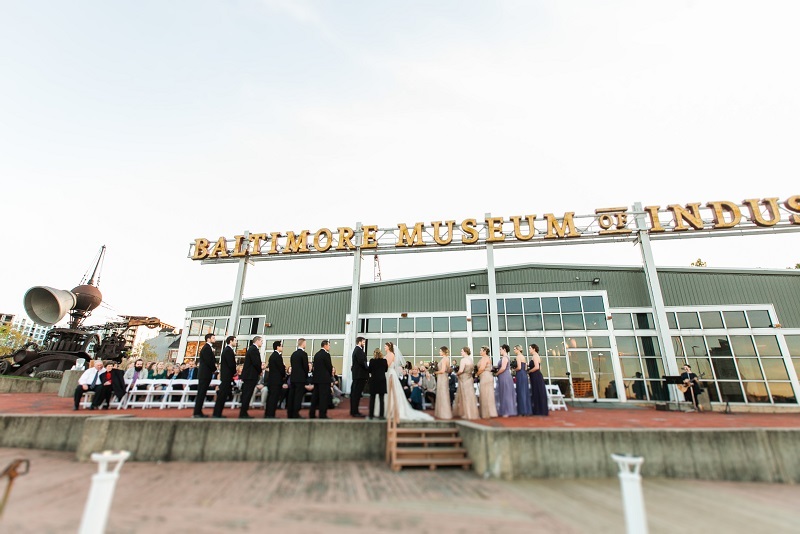 We had such an amazing time being a part of Kelly and Ben’s Baltimore Museum of Industry Wedding. The planning process was so much fun, we were actually sad to see the day come so quickly. Luckily, the day was so amazing it left everyone with amazing memories and smiles to last a lifetime. Kelly and Ben’s personality was evident in every aspect of their big day. 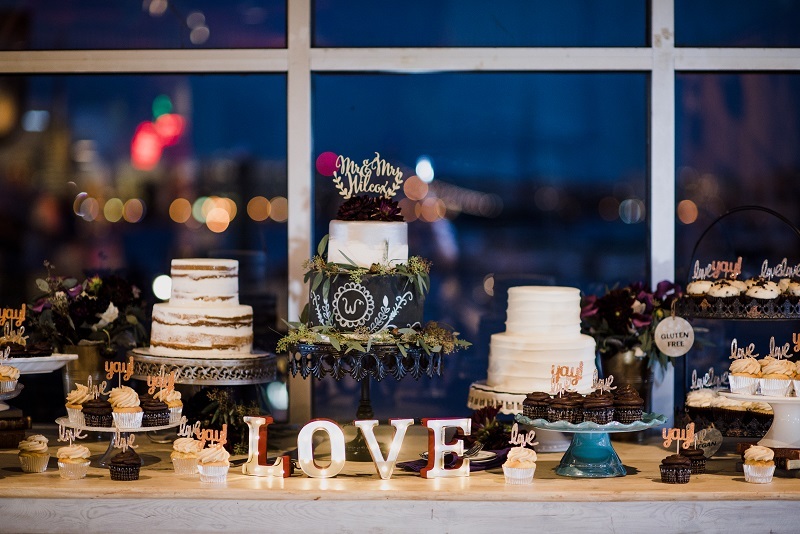 From planning their perfect menu, to their own custom brewed beer, their incredible dessert display, and everything in between, their wedding was as special as their love. 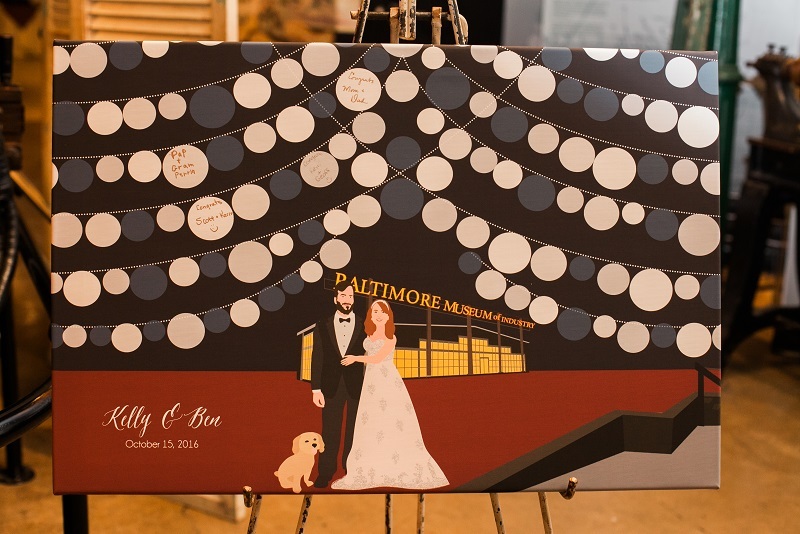 Kelly and Ben said “I Do” with the Inner Harbor as their backdrop at the Baltimore Museum of Industry. 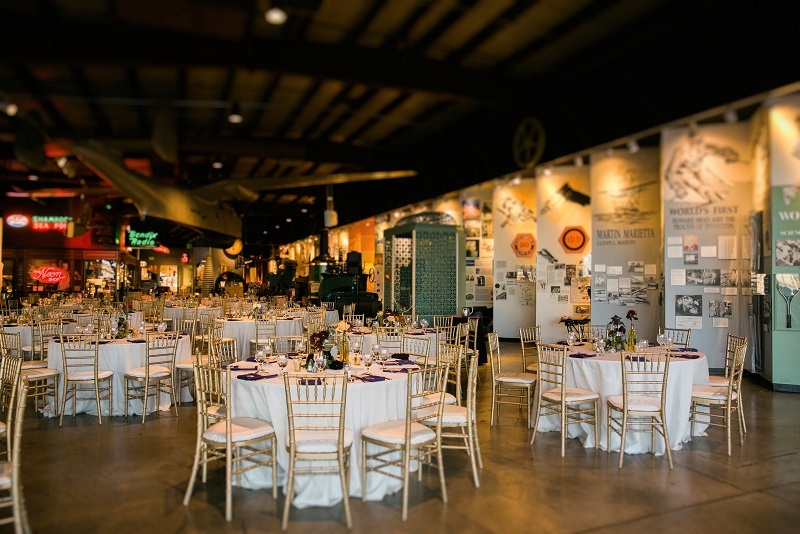 After the ceremony, guests were invited into the museum to take in some of the exhibits while nibbling on appetizers such as Buffalo Chicken Wontons, Asparagus Spears wrapped in sirloin, and the ever-favorite Maryland Crab Dip. 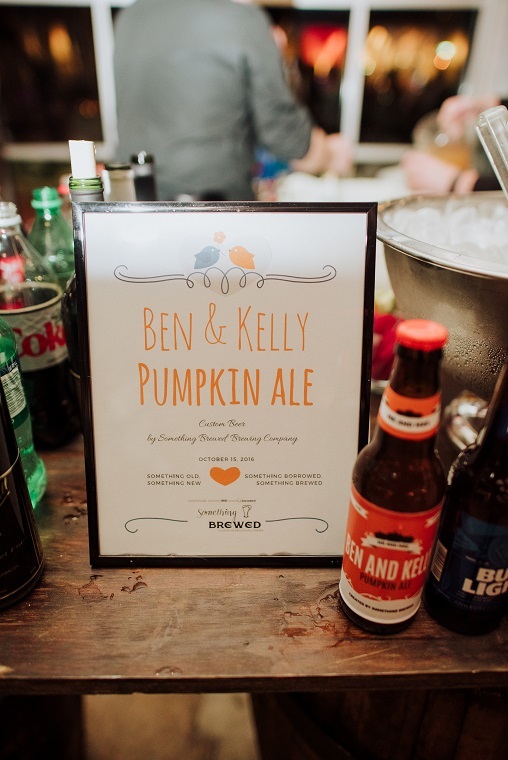 The bar boasted “Ben and Kelly Pumpkin Ale”, a beer created especially for them. For dinner, guests were able to enjoy three different stations of food. There was a Slow Braised Short Rib Station a Slider Station had mini Beef Sliders as well as Spice Rubbed Pork Sliders, and a crowd favorite – City Nights Station with Blacked Chicken Breast, Blackened Shrimp, and a Seafood Risotto with lumps of fresh Maryland Crab. After dinner, it was time to get the party started! 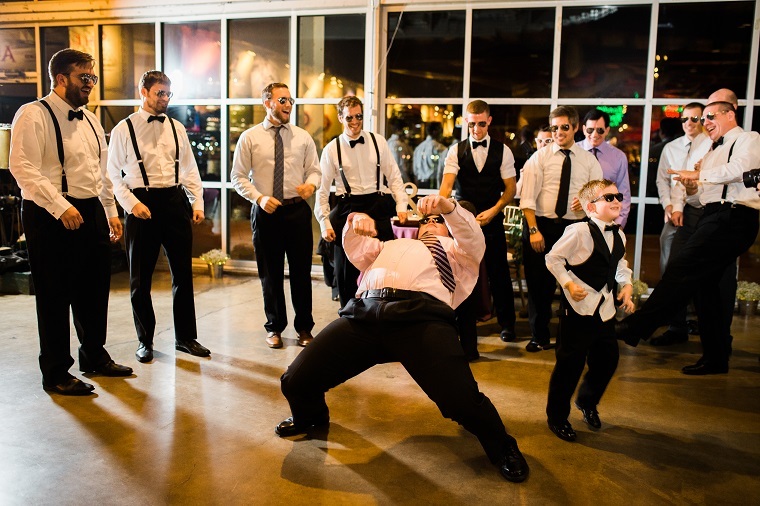 Just like Kelly and Ben, their guests loved to dance! Aviator glasses and “Hon” glasses were everywhere, everything about their Baltimore Museum of Industry Wedding was so much fun! Kelly and Ben, thank you for letting us at Zeffert and Gold be a part of your special day! We wish you all the happiness in the world. Error: Error validating access token: Session has expired on Friday, 12-Apr-19 20:42:14 PDT. The current time is Wednesday, 17-Apr-19 22:28:41 PDT.